Unique Moments photography of Gig Harbor Washington traveled to Tofte Minnesota to photograph this wedding at the Blue fin resort. This was a small family wedding followed by a beautiful reception in Minneapolis 2 days later. This wedding was perfect. 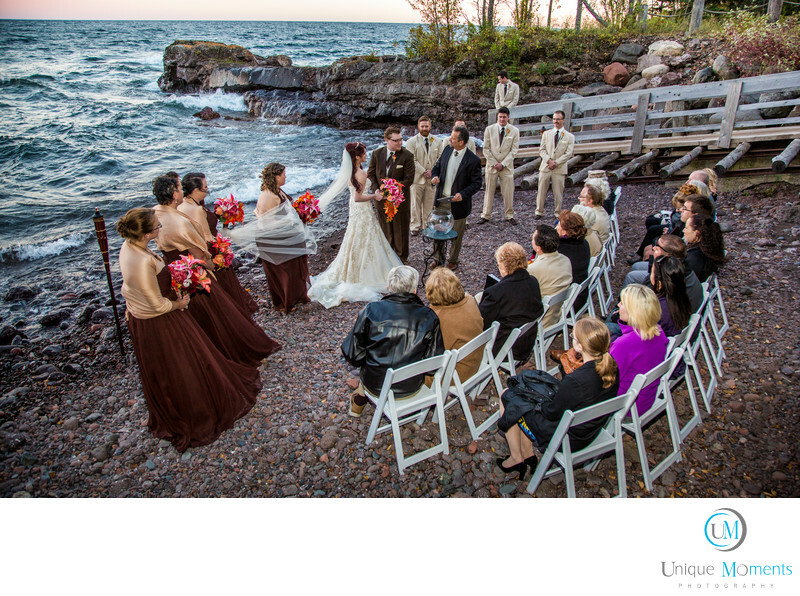 Lake superior is always spectacular and this small family wedding on the beach made for a special unique wedding. Weddings do not have to be huge events nor cost a lot of money. Sometimes Just family is perfect as was the case for this wedding. We had a blast and love to go to new and exciting locations any chance we can. Location: 7192 MN-61, Tofte, MN 55615.